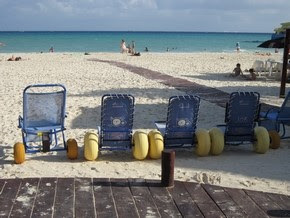 4 Fully-Accessible Cozumel Shore Excursions! Cozumel is one of the most popular Caribbean cruise destinations and there is a good reason for that! This small Mexican island has something for everyone; fascinating history, tropical nature, beautiful sandy beaches and sunny weather. 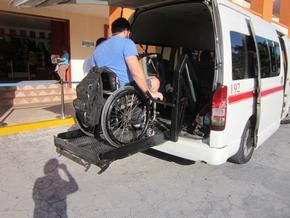 While there are some significant accessibility challenges in Cozumel for disabled and senior visitors, including steep ramps, stones, sand and steps at many restaurants, visiting Cozumel in a wheelchair is definitely possible! Visit Punta Sur ecologial park, Celerain Lighthouse, a tequila exhibition and the largest lagoon in Cozumel! You’ll also be able to enjoy a delicious traditional Mexican lunch and beautiful views of the beach and coastline. 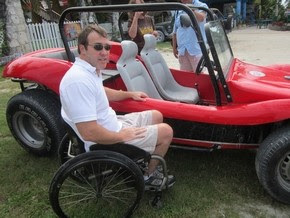 The tour takes place in a 4 door jeep or dune buggy. One of our most popular shore excursion! Relaxing day in the Caribbean! On this beach break, you’ll enjoy some relaxing time at an accessible beach with beach wheelchairs, accessible restrooms and restaurants! Beach, Tequila and an ancient Mayan Village! This tour can either be in an accessible van or a jeep – it’s up to you how you want to experience this beautiful piece of paradise! If you book an accessible cruise + excursions package with Accessible Caribbean Vacations you receive a $50 off discount on your excursion! 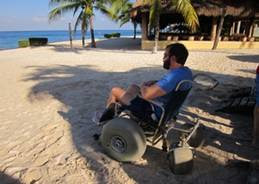 Accessible Caribbean Cruise and Shore Excursions!